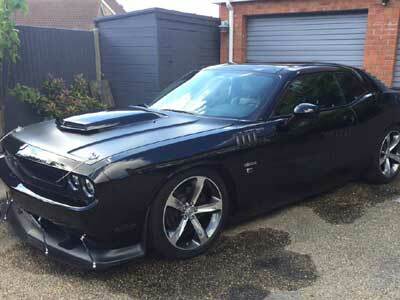 The owner of this Dodge Challenger first brought it in for a matt black bonnet and rear spoiler. Next it was back for grille and nasty headlight rings, matt black and engine covers in black with red metal flake. 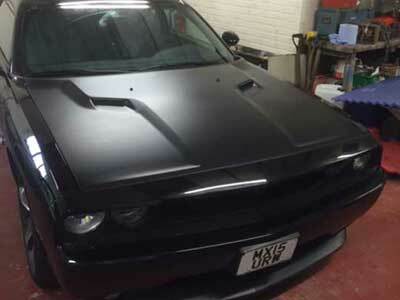 Finally we had to colour code the front spoiler and splitter and also colour code the sill trims.